Getting to drive through Eau Rouge, Spa’s legendary mountain-come-corner, once in a lifetime is a dream for most people. 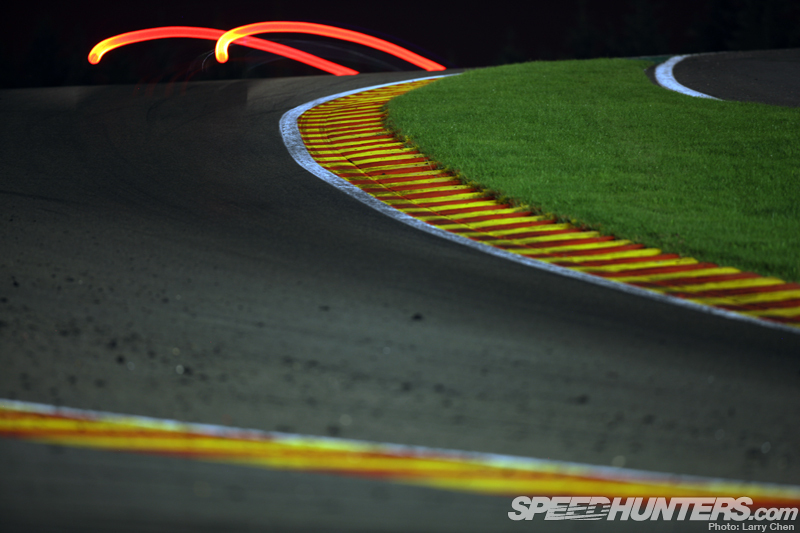 250-odd GT drivers are about to get the chance to tackle Eau Rouge over 500 times through the day, night and day again this coming weekend during the Spa 24 Hours. 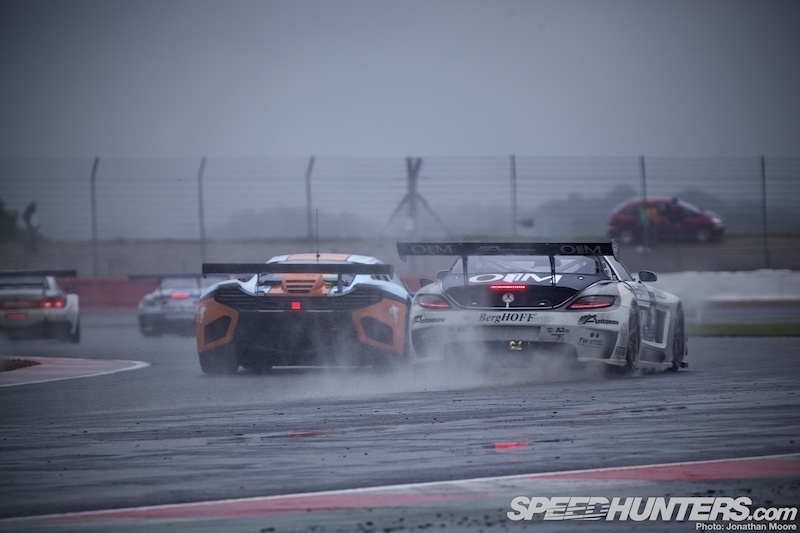 The extra challenge is that each crew will be just one of 67 high-powered GT cars trying to do exactly the same thing, as fast as possible, attacking each other as well as time. Just getting through Eau Rouge on that opening lap will be success for some. It’s been a year of anniversaries in the endurance racing world, with all the big GT enduros celebrating big-number birthdays since their first running. Daytona, Nürburgring, Le Mans and now Spa. 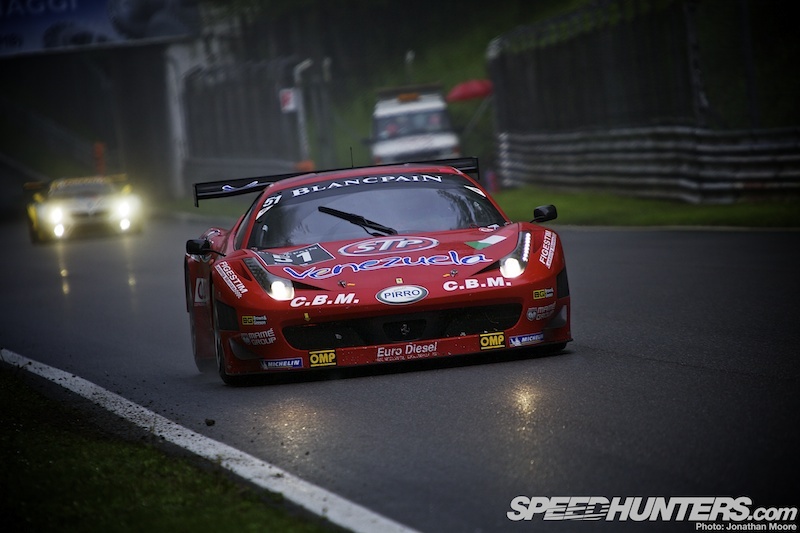 2012 will see the 65th running of the 24 Hours at the famous Belgian track. Just a year younger than the Le Mans 24 Hours – it was first run in 1924 – the Spa 24 has a similarly illustrious, if less well-known, history. 66 is another big number, and it’s the number of entrants in this year’s race. Up from last year, even last-minute drop-outs haven’t stopped this being one of the most heavily subscribed Spa 24s for some time. The pits will be packed trying to fit in all these teams, and both the new F1 pits along the top straight and the old ‘endurance’ pits running down past the finish-line will become be rather cramped homes to the teams for the next week. 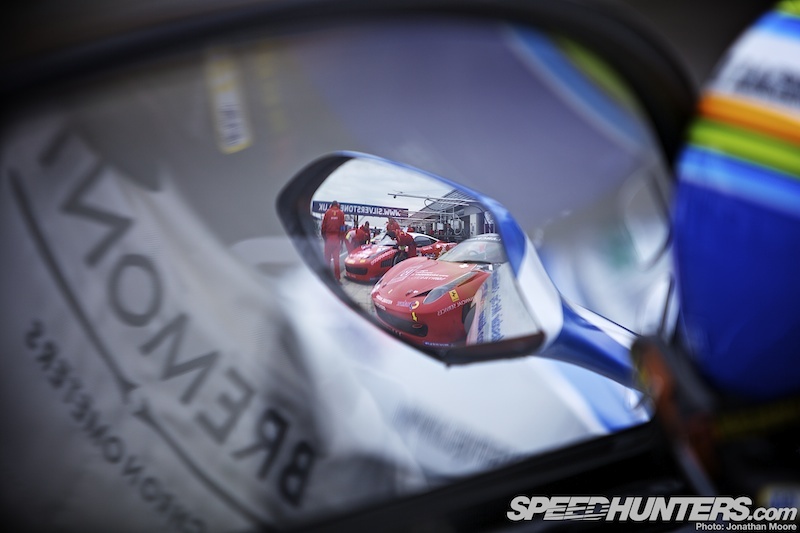 Once again the race is the blue riband round of the Blancpain Endurance Series, a round-the-clock marathon amongst the regular three-hour races the series normally features. 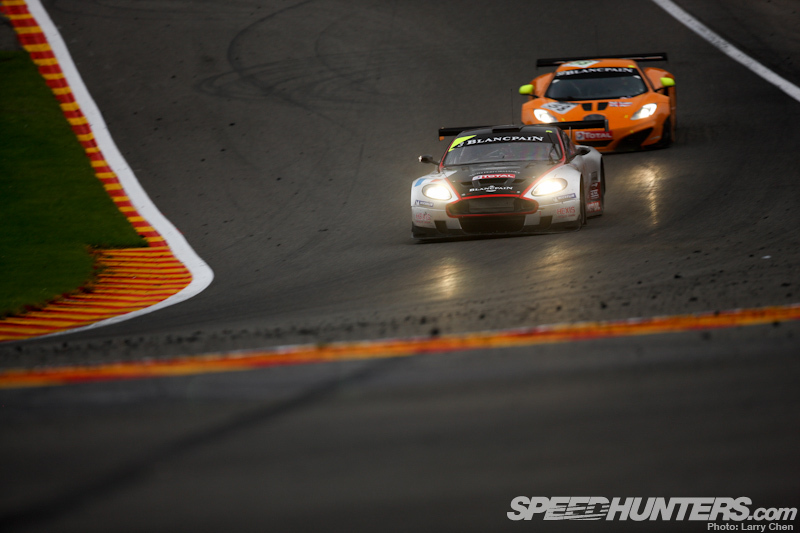 Double points make Spa crucial for the teams’ championship hopes: title aspirations will be made or shattered this weekend. 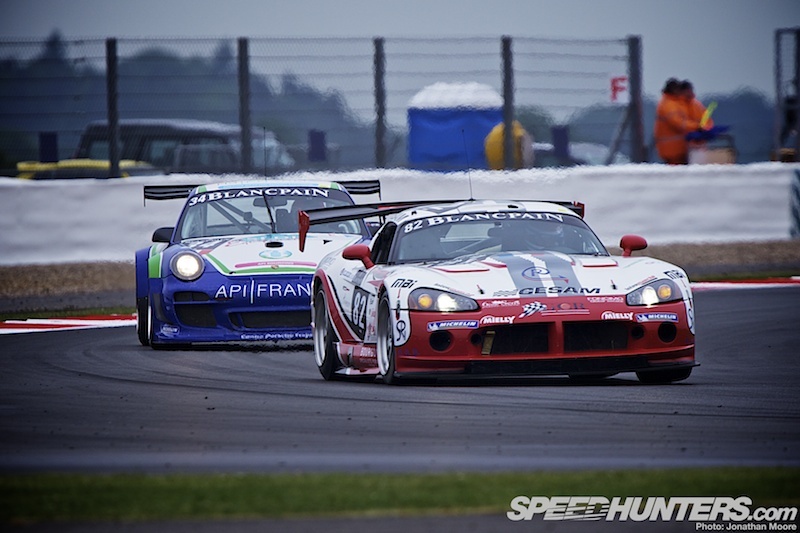 The four classes in the BES are all represented, with around a dozen cars in the Cup and Gentlemen tiers for the amateur-driven, older GTs. Pro and Pro-Am is where the action will be. As usual the difference between these two classes is effectively in name only – the fact that the Pro-Am crews feature at least one amateur driver doesn’t mean they can be discounted, as there are some very fast part-timers out there… Few of this year’s cars have seen major upgrades, so the performance of the machinery is also of negligible difference. 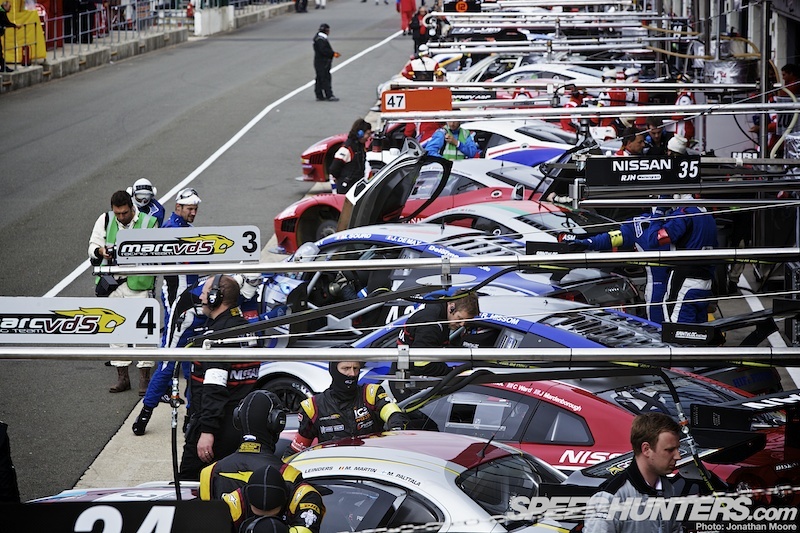 Once again the grid has been liberally sprinkled with top-line drivers of impressive pedigree: Le Mans winners, F1 veterans and WEC and GT1 drivers bolster squads throughout the field. 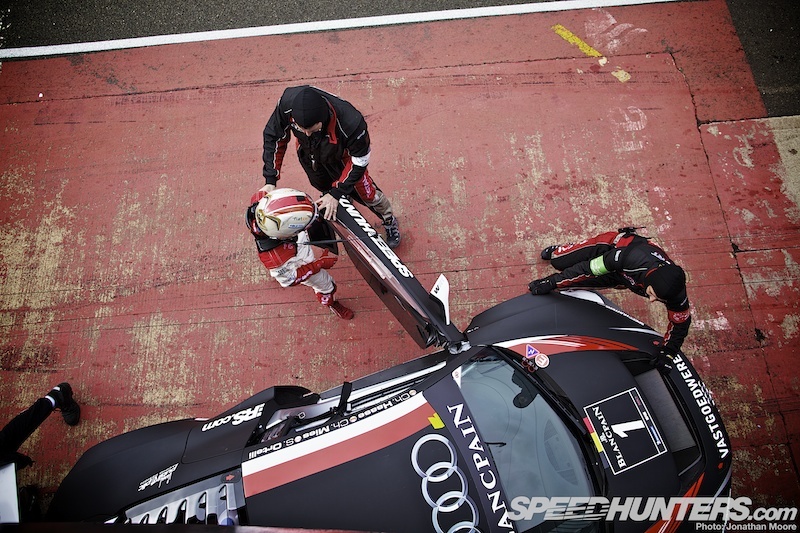 The addition of eight-time Le Mans winner Tom Kristensen to the #6 Phoenix Audi has been the biggest news. 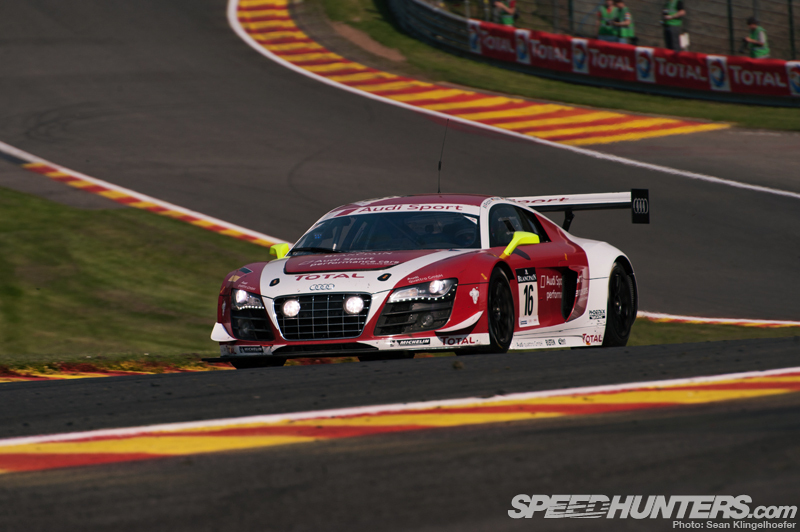 He’s not driven an R8 LMS Ultra before – and surprisingly hasn’t competed in any other 24-hour race except for Le Mans. 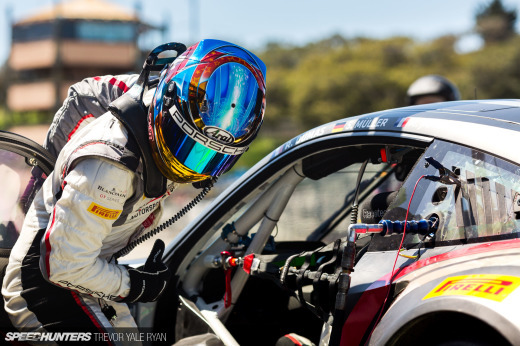 But adapting to the R8 won’t be a problem given his experience, plus his team-mates – Marcel Fässler and André Lotterer – have also stood on the top step at Le Mans. 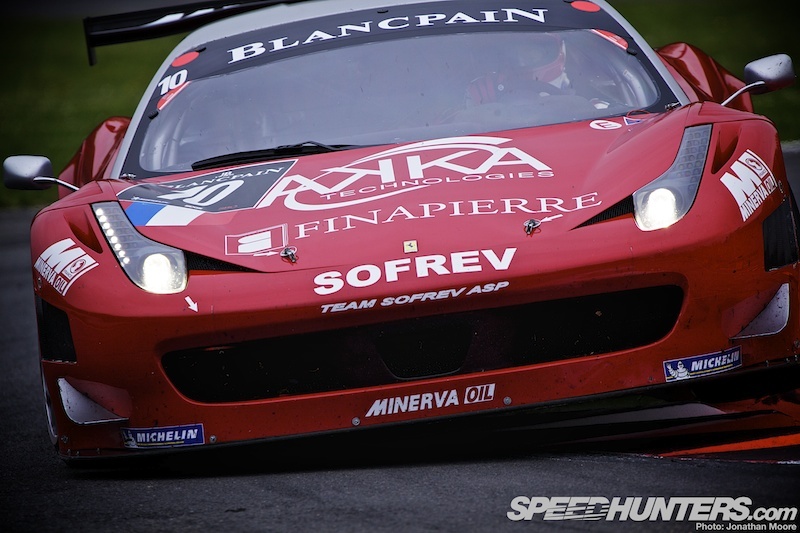 Oliver Panis has also signed up to drive the #10 SOFREV Ferrari 458: prior to stepping into the Ferrari at the last Blancpain round at Paul Ricard, his last serious sportscar outing was at the 2011 Le Mans 24 Hours in the LMP1 Oreca Peugeot 908. Five-time DTM champion Bernd Schneider has also been a surprise addition, especially so as he’s joining the British privateer Preci-Spark team’s #90 Mercedes-Benz SLS AMG GT3. Audi have put factory support behind two teams that also competed in the Nürburgring 24 Hours: ‘Ring race-winners Phoenix have a pair of R8 LMS Ultras alongside WRT, who also field two R8s this time round. Phoenix revert to a factory-style red and white livery for this round. 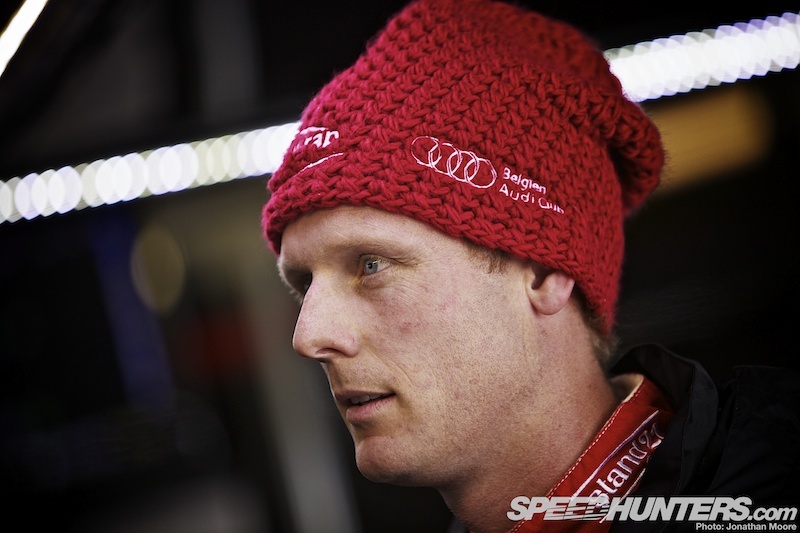 Edward Sandström, who came so close to besting the WRT team last year in the Schubert-run Team Need For Speed BMW Z4, will again be driving with Laurens Vanthoor and Marco Bonanomi for the Audi team. 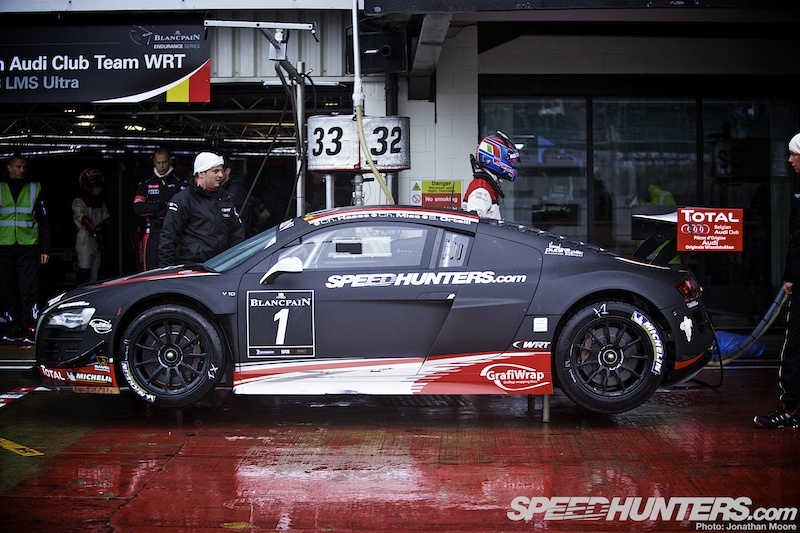 The WRT video crew have also put together this video covering their build-up to the race. 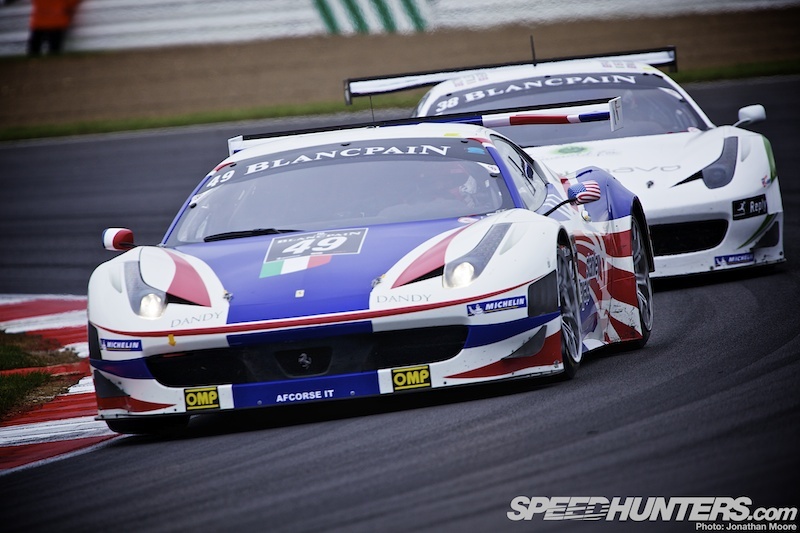 AF Corse won the FIA GT3 Championship in 2011 and the GTE-Pro category at the Le Mans 24 Hours back in June, and have entered a quartet of Ferrari 458 Italias for Spa. They’re rather serious about this one. 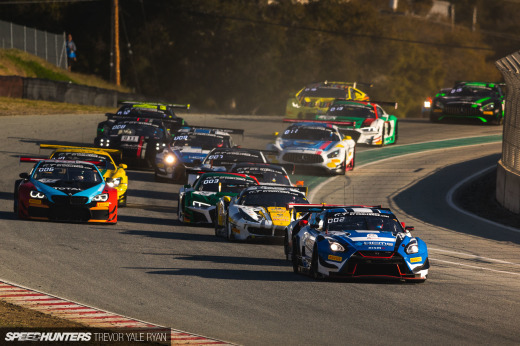 They’ve also bolstered their BES crews with drivers from the beleaguered FIA World GT1 Championship, though that does mean that no one car has a stand-out line-up. 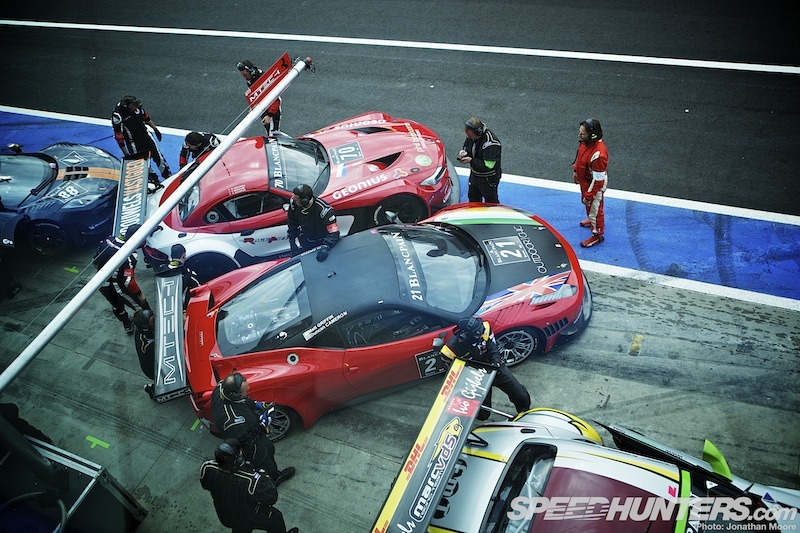 A whole squadron of 458s back up AF Corsa: duo Ferraris are entered by SOFREV, Sport Garage and Vita4One Team Italy. 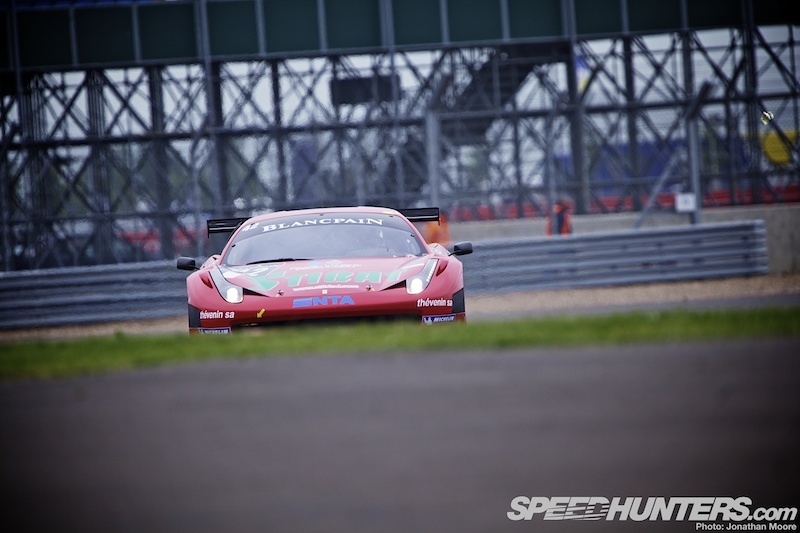 Kessel run a pair of 458s plus a 430 in the Gentlemen Trophy class; the Danish Insight team add another single Ferrari. Seven BMW Z4 Coupés will take part in 2012, looking to emulate the success of the 3.0CSL during the mid-’70s, M3s of the ’80s and 320s of the ’90s – and of course to better that oh-so-close result of last year, when Schubert’s Z4 finished second to the WRT Audi R8. 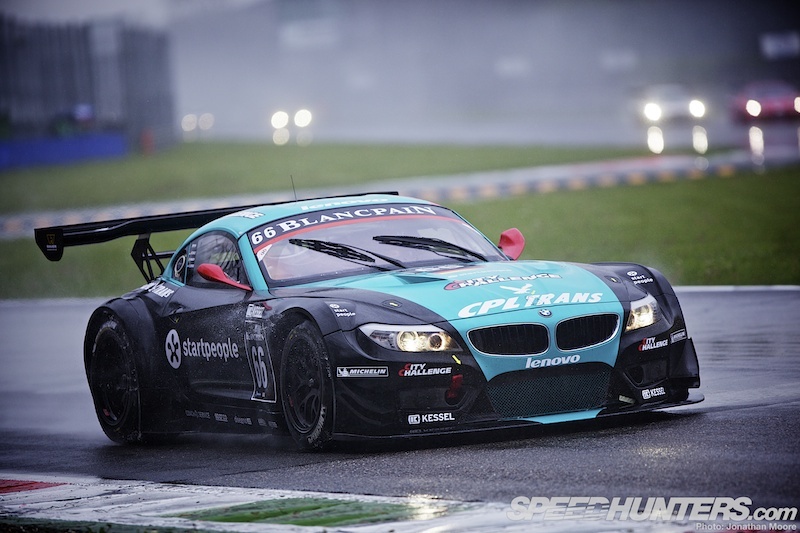 Marc VDS have already grabbed the first two wins of the Blancpain championship at Monza and Silverstone, and will be bullish about their chances here too. 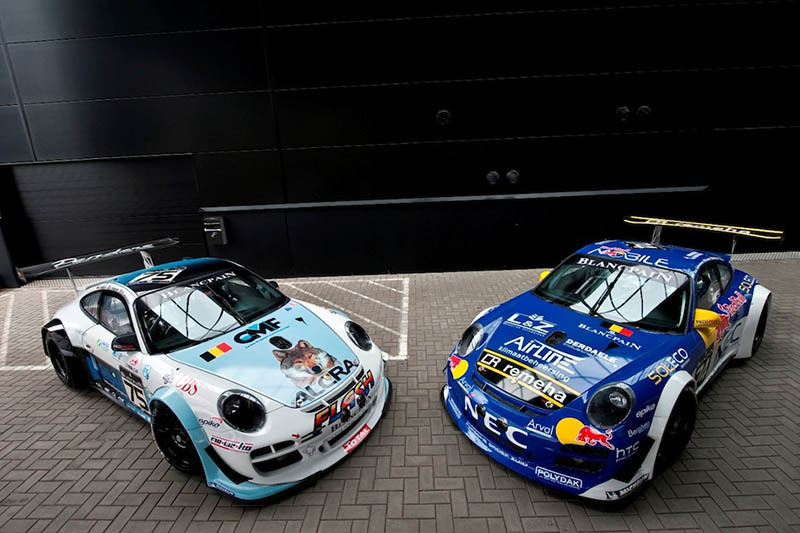 Sébastian Loeb Racing were expected to enter a Mercedes-Benz SLS AMG, but have not thrown their hat in the ring this time round. 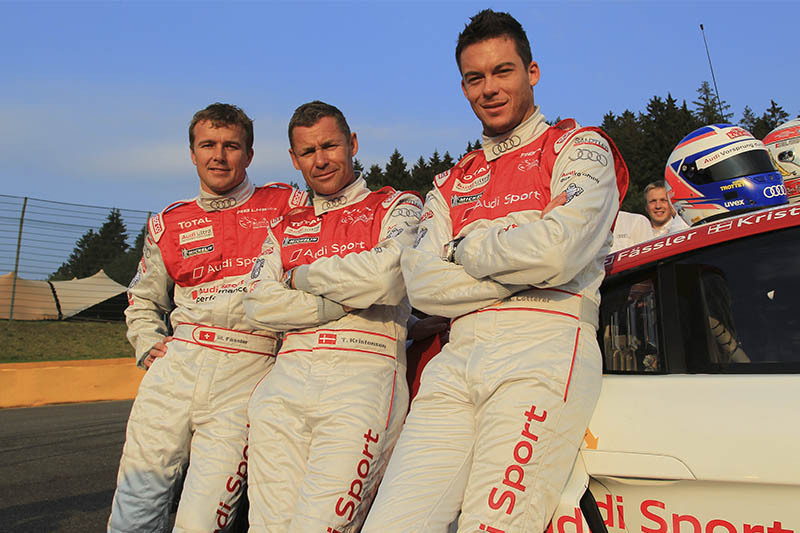 Rivals must be breathing a sigh of relief, bearing in mind Loeb’s record of victories. 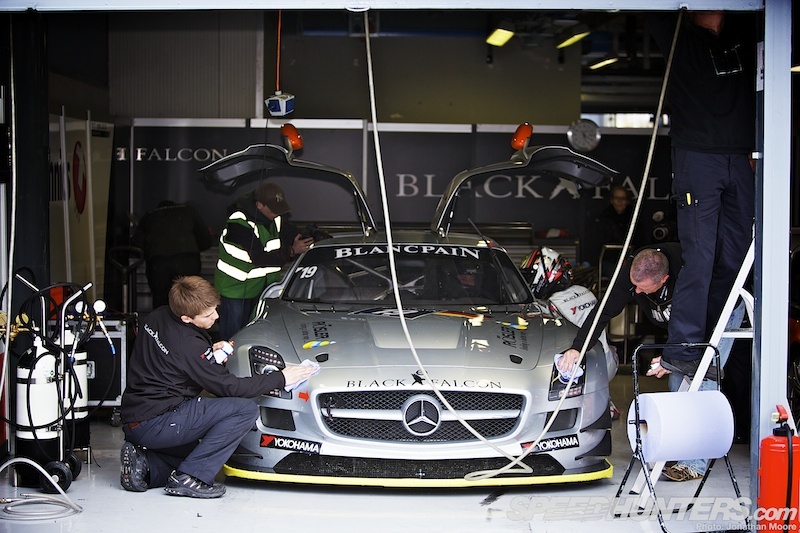 Four SLS are still on the list: a KRK entry, two from Black Falcon and the British car mentioned previously. Aston Martin have a pair of V12 Vantage GT3s entered in Pro-Am: the Belgian GPR team and the UK’s Beechdean team run those cars. John Gaw, Aston Martin’s Managing Director, joins the crew of the latter Vantage. 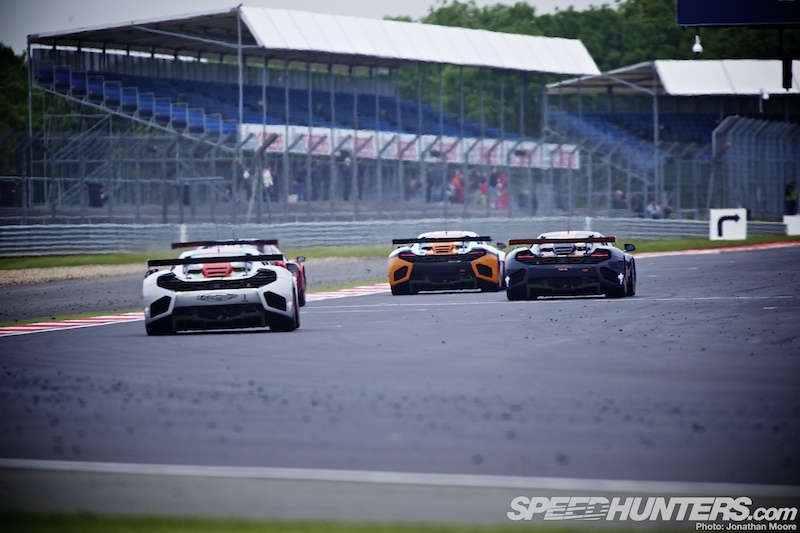 McLaren’s entry has been reduced from a dozen cars on the original entry list to a still substantial nine, with the withdrawal of two teams including the two United Autosport MP4-12Cs – that team have reverted to running a single Audi R8 LMS Ultra. There are still question marks over the car’s reliability, so a lot could depend on the engine map the McLaren’s are allowed to run. They could be impressively flaming away – but fail to finish – or opt for a more conservative run to bring the fleet of cars home. Pro GT enter another pair of 997 GT3 Rs (plus a supporting Cup car); the remaining Porsches are all one-car teams; the Haribo Team Manthey car should be one to watch. 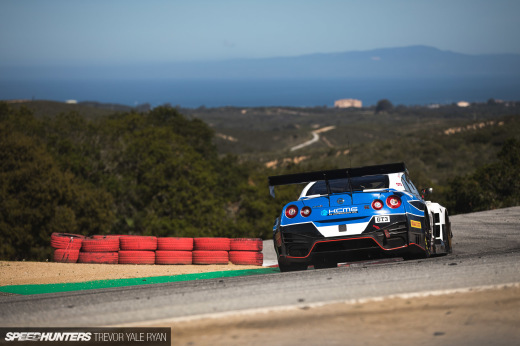 Much as the mass entries will make the manufacturer battles intense beyond belief, single-entry marques keep things interesting: Nissan, Lamborghini, Ford, Jaguar and Dodge all bring one car to the party. The Nissan will be looking for a solid run: the GT Academy car has two graduates of the programme driving this year. 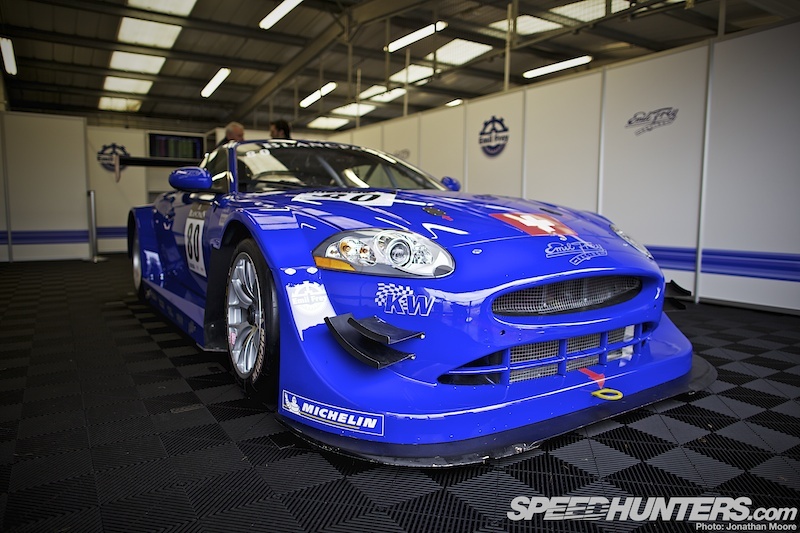 The new Jaguar XK raced at Paul Ricard after non-starting at the Silverstone race: it’s been self-developed by the Swiss-based Emil Frey Racing Team. 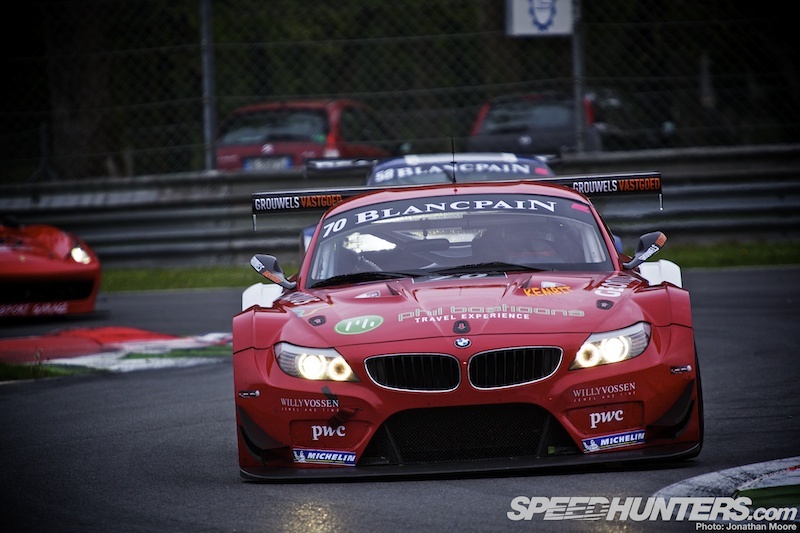 The XK has been built up in GT3 spec with a new aero pack and the power hiked to 550hp. The driving strength has plenty of experience, with Freddy Barth coming from World Touring Cars and Gabriele Gardel from FIA GT. The Speedhunters crew are assembling at the track, and the first practice session is now underway here in the Ardennes forest. Qualifying starts this evening and runs into the dark, with a final half-hour ‘Super Pole’ session running tomorrow afternoon. 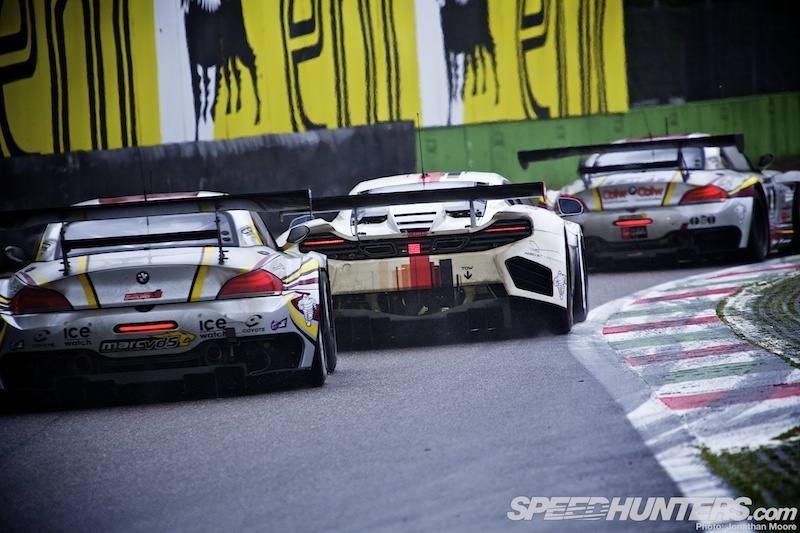 The Spa 24 Hours is also running as a mini double-header championship with Nürburgring 24 Hours, so teams will be gunning for several different pieces of silverware come the end of the race. Please release some of the above photos as Desktops. 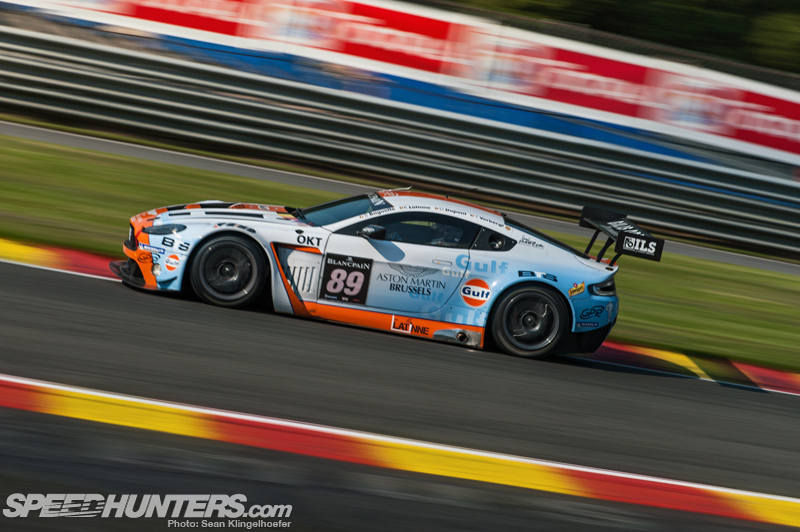 Spa-Francorchamps is a fantastic racetrack! I was recently there with my team at the YOUNGTIMER TROPHY! Is Radio Le Man gonna cover this? Unfortunately not, which is a real shame. 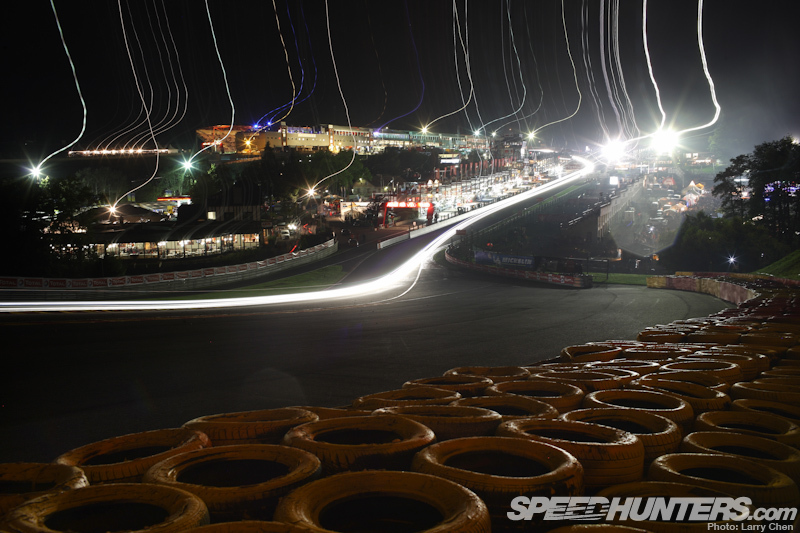 We'll be scouting for timing and video links – they'll be posted in tomorrow's qualifying story! 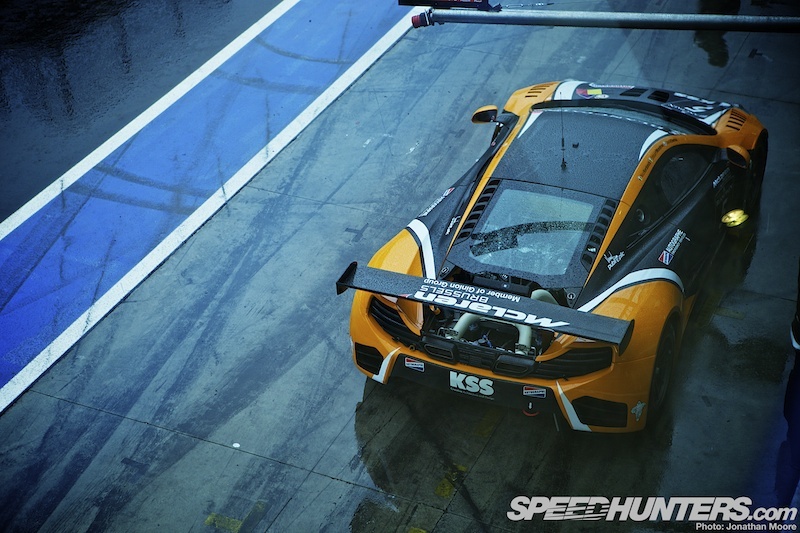 @LeDocteur Ah, for the preview most of the shots are from the previous rounds at Silverstone and Monza – there will be desktops from those events up already. But we'll have plenty of up-to-date desktop material coming your way over the weekend! Where can i watch online translation of this race? Also that last photo is quality. ma quando è la gara ?